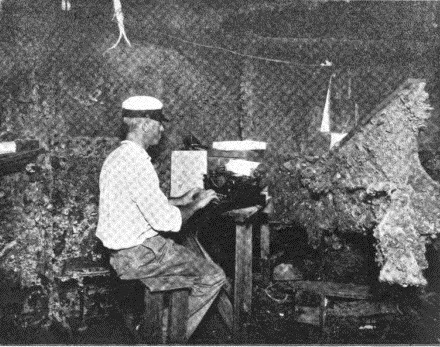 This US Government worker is typing on a Monarch - below sea level. And I don't mean he is typing aboard a submarine. He is typing in a cofferdam. 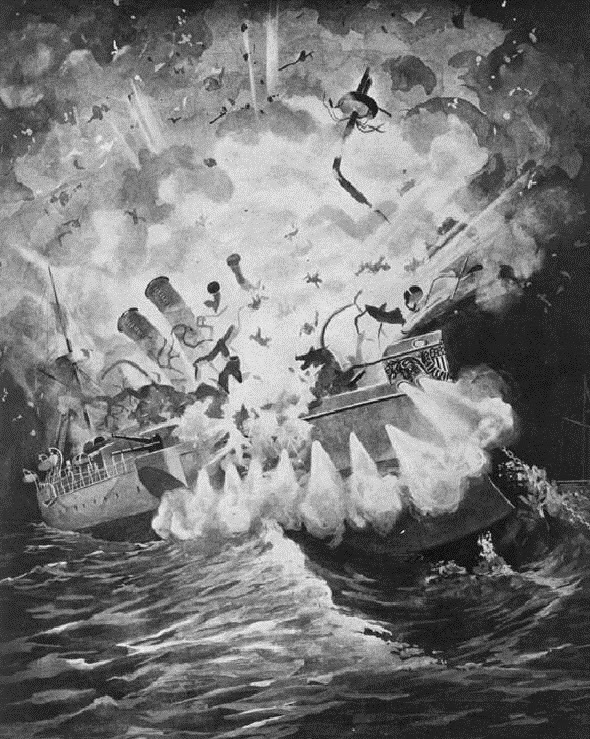 On the night of February 15, 1898, the armoured cruiser the USS Maine, sent from Key West to protect US interests during the Cuban War of Independence from Spain, suddenly exploded in Havana Harbour, with a loss of 266 lives. Suspicion about Spanish involvement was fanned in the US by inflammatory articles printed in the "Yellow Press" - the New York Journal and the New York Word - by William Randolph Hearst and Joseph Pulitzer. The phrase "Remember the Maine, to Hell with Spain!" became a rallying cry for action, which came with the Spanish-American War later in 1898. In 1910-11, a second court of inquiry, the Vreeland Board Inquiry, was held into the sinking. One reason was the need to recover the bodies of the victims, so they could be buried at the Arlington National Cemetery. The Cuban government also wanted the wreck removed from Havana Harbour. 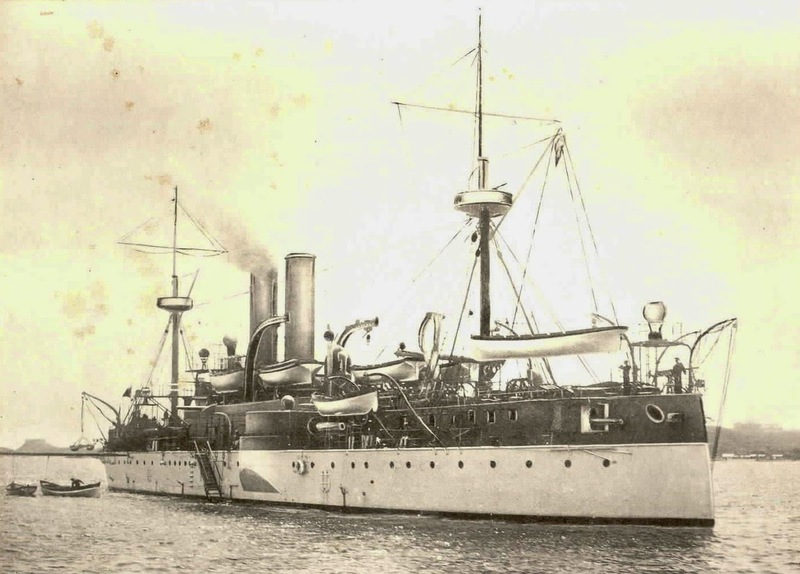 This second inquiry, headed by Rear Admiral Charles E. Vreeland, offered the opportunity to examine the hull in greater detail than had been possible in 1898. A number of certified engineers were on the inquiry board. In December 1910, a cofferdam was built around the wreck and water was pumped out, exposing the Maine. Between November 20 and December 2, 1911, the wreck was thoroughly inspected. 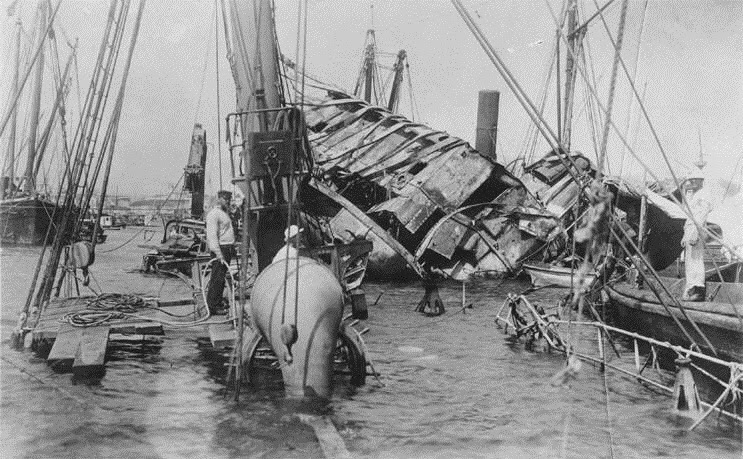 The hull was refloated and ceremoniously scuttled at sea on March 16, 1912.